Your news feed might have pieces about how to get better at business (or indeed your living your life). They might have a seemingly empirical basis, and offer numbers of great specificity: the ten ways the successful manage their time; the fifteen books the very rich have read (and you must read too); the six and a half things that all happy people do; the three things the best managers do; the fourteen things the highly motivated do every day; six and a half things to do get love, respect and loyalty; the nine and quarter things you must do in order to have a successful start-up, etc. Listicles, articles or books which apparently enumerate the traits needed to succeed, in other words. You know the kind of thing – self-help books are full of this stuff, and the internet is clogged with it. There’s a problem, and it should be obvious: if things were as easy as adopting the twelve-teen habits of the rich, the famous, the highly-motivated, the loved and the respected, then everyone would be doing it, and it should work for everyone (ignoring the role that luck and a hundred other extraneous and extrinsic variables might also play). So – what to make of this barrage of advice? Some of it may be well-founded – it may indeed be the case that the very successful have all read fifteen books in common with each other. However, the problem here is the false positive rate – lots of people who aren’t rich or in charge of major multinationals may have read exactly the same books (or whatever). Are there useful cognitive tools for thinking about such advice? Here’s one such tool, taken directly from biomedicine. Diagnostic tests in biomedicine can seem like complicated things: you take a bodily fluid (saliva, blood, for example) or a measurement of bodily function (like temperature or blood pressure), and you put these through some form of diagnostic algorithm, and you get a diagnosis. A flu, or whatever the tests indicate. But of course it’s not that simple – a high temperature is a very sensitive measurement, but it lacks specificity. In other words, having a high temperature might be common to sunbathers, marathon runners, respiratory tract infections, the flu, or faulty air conditioning. A high temperature is sensitive, but not specific- because it is a feature of many conditions. And you need to know the base rate. During a flu epidemic, a high temperature, plus other biological markers (plus the epidemic itself – the base rate), will tend to suggest a diagnosis of the flu (rather than other possible causes). So how does any of this relate to business practice? Simple really: being aware of thinking about sensitivity, specificity and base rate concepts together provides a powerful and elegant cognitive tool for thinking about what advice to adopt or to act on. When offered advice that is of high sensitivity, you must also ask about it’s specificity. It’s not a lot of use to know that the following list of business leaders all eat muesli for breakfast; after all, lots of non-business leaders do too. 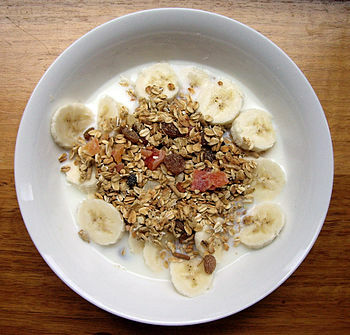 Muesli-eating has very high specificity, but very low sensitivity (because lots of non-business leaders also eat muesli), and it is confounded by very high base rates – lots of people in the population at large also eat muesli. Knowing sensitivity, specificity and base rate information helps you engage in differential diagnosis (another useful biomedical term): to be able assess advice that is causally useful, among the other alternatives available. Knowing that business leaders all eat muesli is useless. Knowing that successful ones focus on something specific (like cashflow and profits, or customer relations, or whatever); knowing that ones who fail do not; that ones who are failing adopt practice x, and that this turns their business around, starts to put you in a very different place when considering advice that comes apparently with high specificity: 97% of CEOs eat muesli for breakfast! But so does 30% of the population at large, so eating muesli mightn’t be much use in turning you into the next CEO of Large Company Inc.
There’s a nice treatment of these concepts on wiki at sensitivity and specificity and differential diagnosis. NB: Thank you to @doogooroo for correcting my inadvertent inversion of terms.